Styled with anay short . 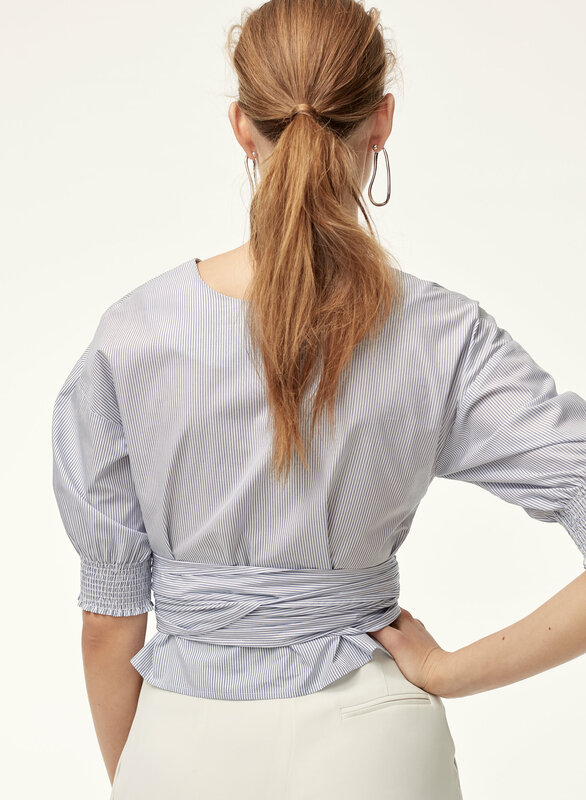 Voluminous balloon sleeves and extra-long ties — made to wrap around the body multiple times — give this cotton poplin blouse a directional, sophisticated edge. 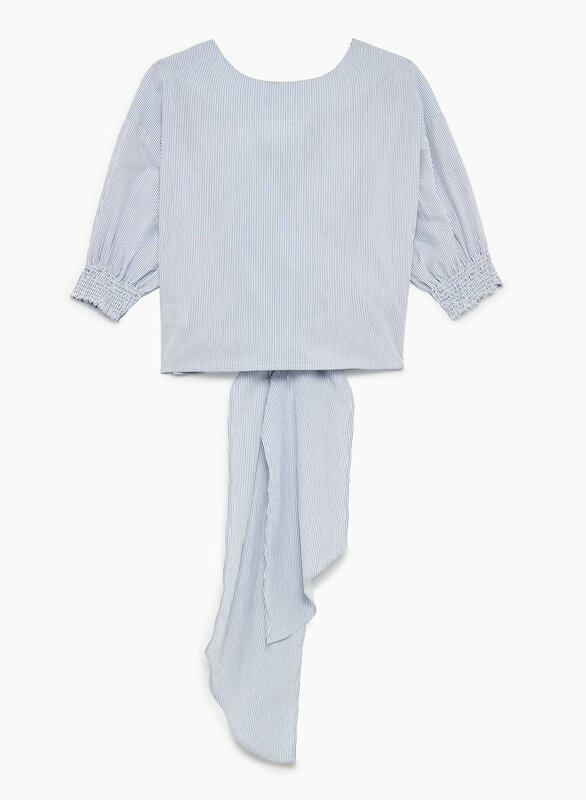 The versatile design can be worn backwards or forward (makes getting dressed in the dark easier).